Fossils are the remains and traces of ancient organisms. A cluster of fossil ammonites, an extinct cephalopod. fossil (latin for "obtained by digging") is the preserved remains or traces of organisms (plants, animals, etc) that lived in the distant past. The convention is that a fossil must predate recorded human history. While there is no defined date, typically something must be older than 10,000 years to be considered a fossil. The oldest fossils in the fossil record date from 3.5 billion years ago, however it wasn't until around 600 million years ago that complex, multi-cellular life began was first preserved in the fossil record. There are two main types of fossils; body and trace. Body fossils include the remains of organisms that were once living (bones, shells, teeth, eggs, etc), while trace fossils are the signs that organisms were once present (footprints, tracks, burrow, coprolites). Trace fossils represent a data source that reflects animal behaviors, and they do not require the preservation of hard body parts. 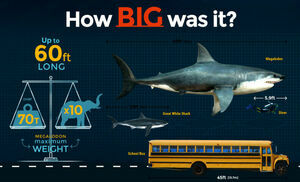 Many traces date from significantly earlier than the body fossils of the animals suspected to have made them. 2. Lack of oxygen that limits decay and scavenging. 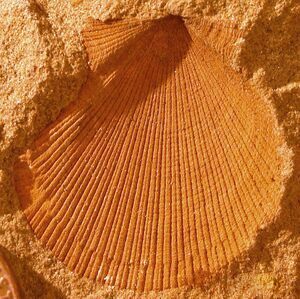 Fossils are most often preserved within sediments that were deposited in water, such as wetlands, river basins, or the ocean. 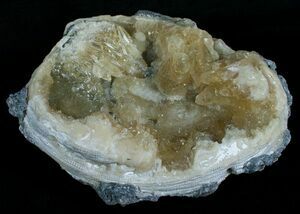 Permineralization or Petrification - After an organism is buried, minerals carried by water such as silica, calcite or pyrite replace the organic material in the fossil. Some common examples are most dinosaur bones, petrified wood, and many trilobite fossils. Permineralization can preserve even the most minute details including cell structure. 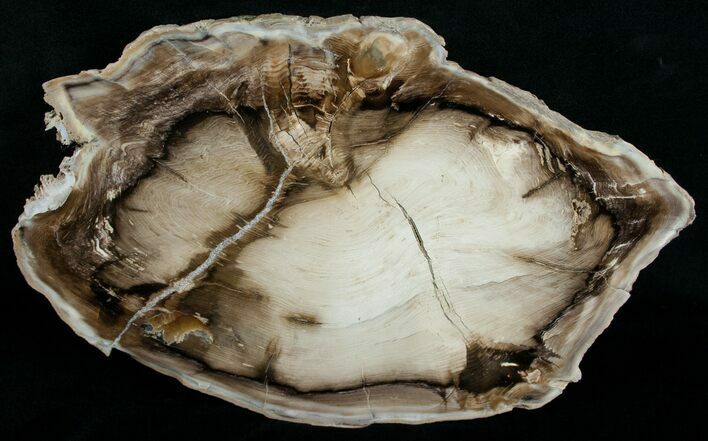 Petrified wood is a classic example of Permineralization where the original, organic wood material has been replaced by silica and other minerals. Molds and Casts - A mold fossil is when the organism decays leaving an impression in the rock called a mold. A cast is when that mold has been filled in with rock or minerals. A bivalve preserved as an external mold fossil. Carbonization - Carbonization is a process in which the more volatile substances of the organism (hydrogen, oxygen, nitrogen, etc) are removed, leaving behind the carbon. These fossils typically appear as a thin, dark film on the rock. This type of preservation is common among plant fossils. 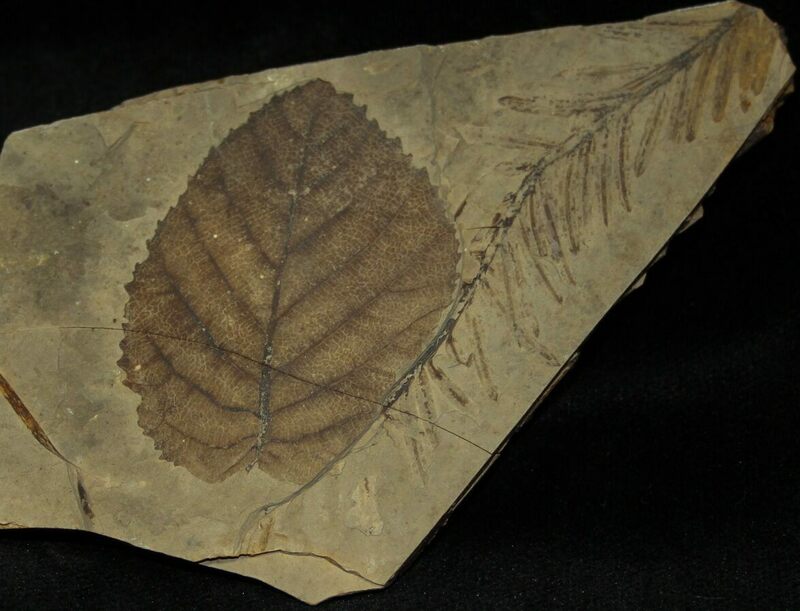 Fossil leaves from the Traquille Shale of British Columbia preserved through carbonization. Unaltered Preservation - The original material of the organism has not been changed to another substance. Very rare, and typically found in very recent fossils. Some examples include freezing (woolly mammoths in the permafrost), mummification, fossilization in amber. A weevil trapped in Baltic amber is an example of unaltered preservation. Replacement and Recrystallization - Replacement occurs when the shell, bone or other tissue is replaced with another mineral. A shell is said to be recrystallized when the original skeletal compounds are still present but in a different crystal form, as from aragonite to calcite. A fossil clam from the famous Ruck's Pit locality in Florida full of calcite crystals. Authigenic Mineralisation - A very special form of cast and mold formation where a nodule is formed around the fossil by minerals such as siderite. In cases of rapid fosssilization, very fine details can be preserved. One example of this is ironstone nodules in the Mazon Creek fossil beds that contain amazingly details fossil plants and insects. A juvenile fossil shark (Bandringa rayi ) from preserved in a siderite nodule from Mazon Creek, IL. The majority of the time fossils are dated using relative dating techniques. Using relative dating the fossil is compared to something for which the age is already known. 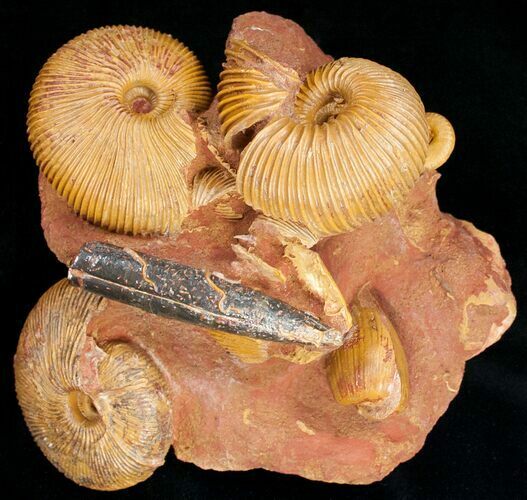 For example if you have a fossil trilobite and it was found in the Wheeler Formation which has been dated to approximately 507 million years old, you know the fossil in it is approximately 507 million years old. 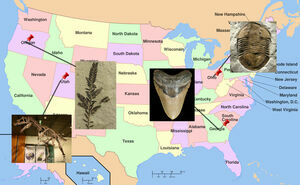 Scientists use certain types of fossils referred to as index fossils to assist in relative dating via correlation. Index fossils are fossils that only occurred during a specific time frame. 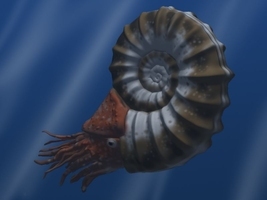 Typically commonly occurring fossils that had a widespread geographic distribution such as brachiopods, trilobites, and ammonites make the best index fossils. If the fossil you are trying to date occurs in the same layers as these index fossils, they can be used to narrow down the date, or date the rock formation. Another principal used in relative dating that rock layers are deposited sequentially. If a layer of rock containing the fossil is higher up in the sequence that another layer, you know that layer much be younger in age. By combining these principals, relative dating techniques can usually be used to determine the approximate age of a fossil. Absolute dating is used to determine a precise age of a fossil through radiometric methods. This uses radioactive minerals in the rocks and fossils almost like a geological clock. The atoms in some chemical elements have different forms, called isotopes. These isotopes break down at a very consistent rate over time through radioactive decay. By measuring the ratio of the amount of the original isotope to the amount of the isotopes that it breaks down into an age can be determined. While people are most familiar with carbon dating, carbon dating is rarely applicable to fossils. Carbon-14, the radioactive isotope of carbon used in carbon dating breaks down too fast. It can only be used to date fossils younger the 75,000 years. Potassium-40 on the other hand breaks down much slower and is common in rocks and minerals. It can often be used to date rocks and fossils up to several billion years old.